Wow, what fun! 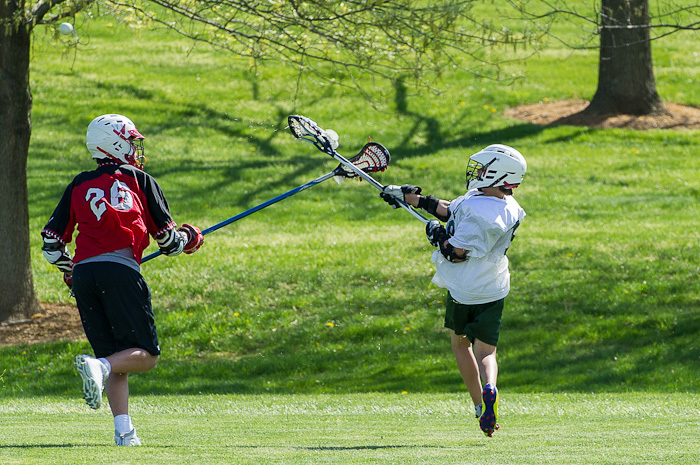 That was my reaction after watching and photographing my first lacrosse game today. 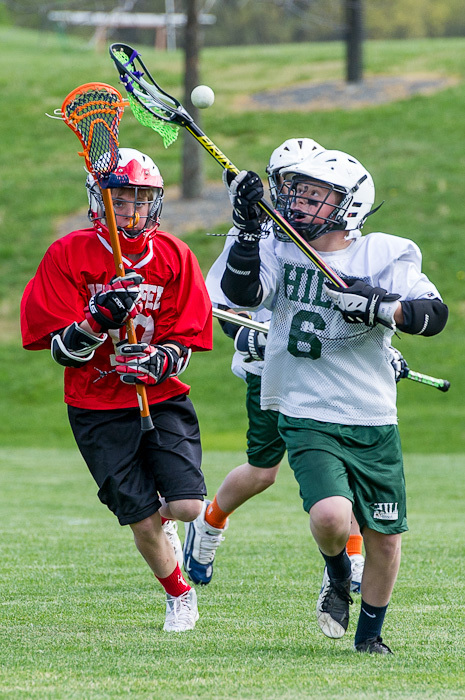 Hill’s varsity lacrosse team had their opening season game at home when they hosted Wakefield. 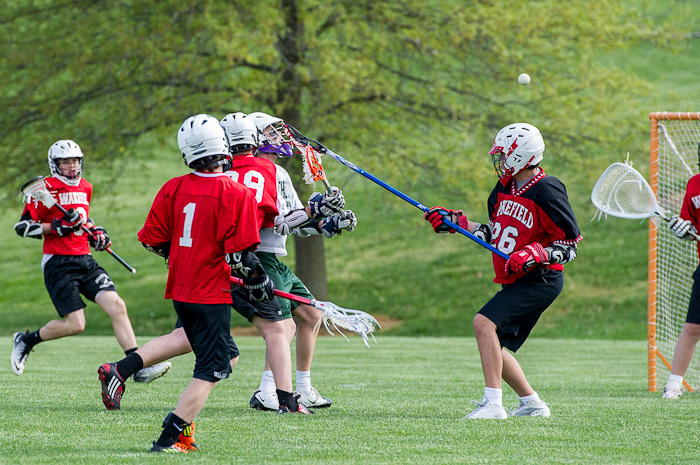 I didn’t quite know what to expect, both as a spectator and photographer, because Cam was new to the game and a significant number of sixth-graders had been bumped up to varsity. In fact, this morning Cam said he was hoping the team wouldn’t get crushed. As it turns out, Hill dominated the game, with the final score well in their favor. I was surprised with the intensity and aggressiveness of the play, though, especially after years spent on the soccer sidelines. But it was certainly fun to shoot! I have a lot to learn in anticipating the action and did delete a significant number of photos. So, I look forward to fine-tuning my skills in tandem with Cameron, although I’m happy that for me the games won’t end with blood and sweat like his did today! Great action shots! It’s hard to anticipate the action to snap the shutter at the right time. Did you use continuous shooting mode? That’s what I have to do although you have to be quiet for disc golf (the only sport I’ve photographed!). You got some great photographs here! Thanks, Polly! I did use continuous and tried to follow the action as best I could. I didn’t worry too much about the shutter noise, though, since there was a lot of shouting out on the field. I can see how that would be challenging with your disc golf because the shutter noise is pretty intense when you’re holding down the shutter! Super action shots Tricia! Sports Illustrated may have a new photographer! LOL! 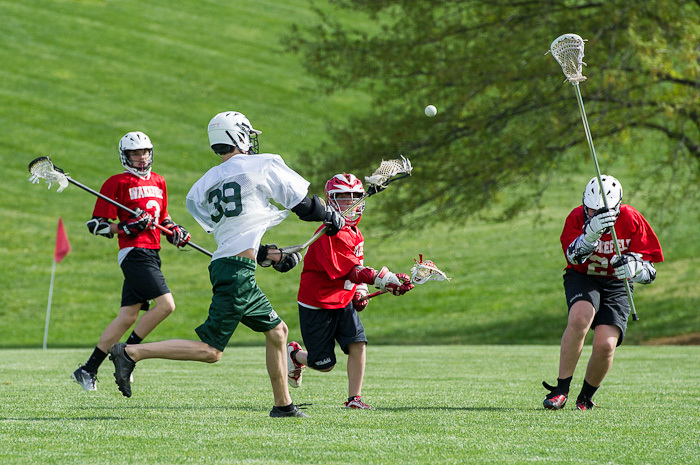 Shooting new sports is a fun challenge, but certainly there was a lot of luck involved! Oops forgot to add…what lens were you using?? I used an 70-200 2.8 on aperture priority (5.6) and sometimes I used the crop mode on the camera depending on where the action was taking place.